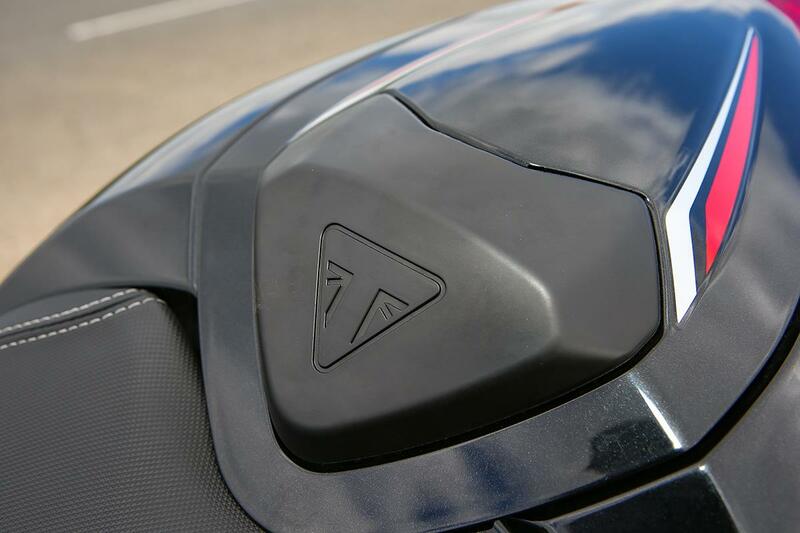 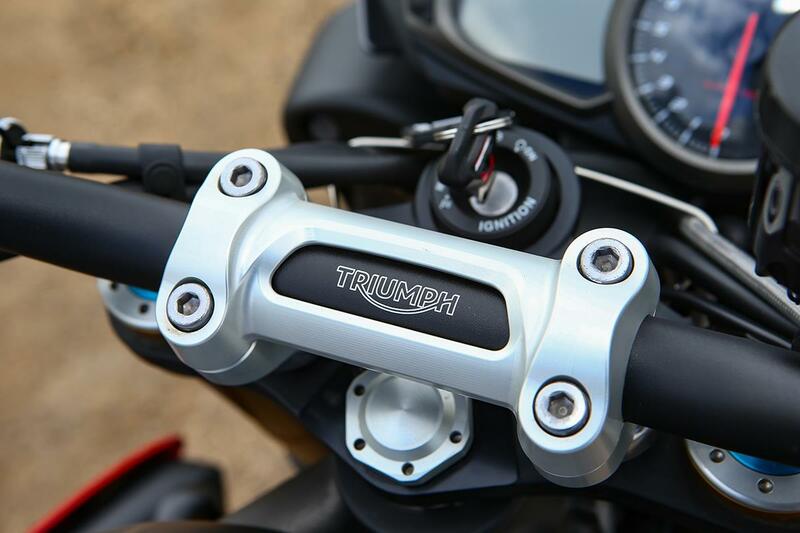 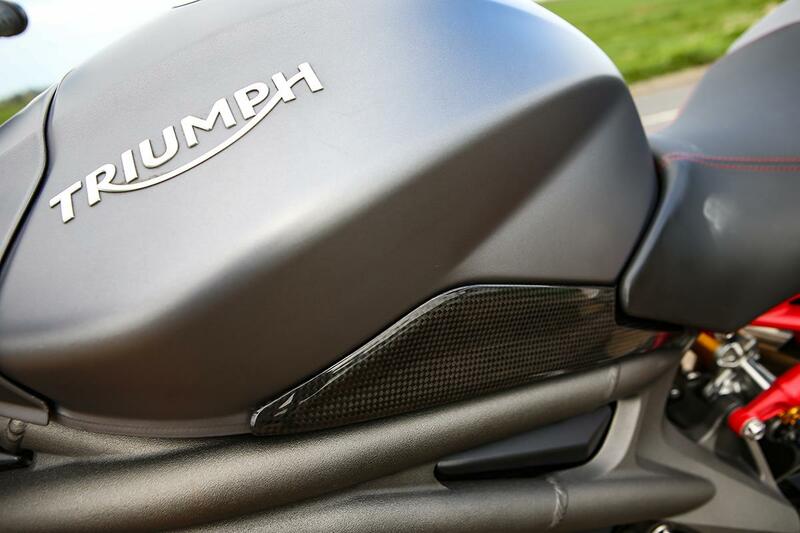 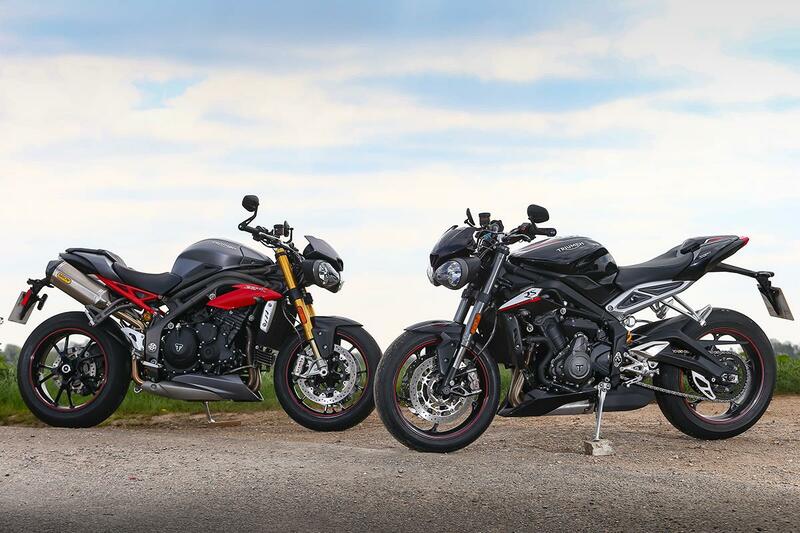 You’d think there’s only room in the world for one ultimate super-naked Triumph triple, and that last year’s revamped Speed Triple would comfortably continue to fill the role in much the same way it has since 1994. 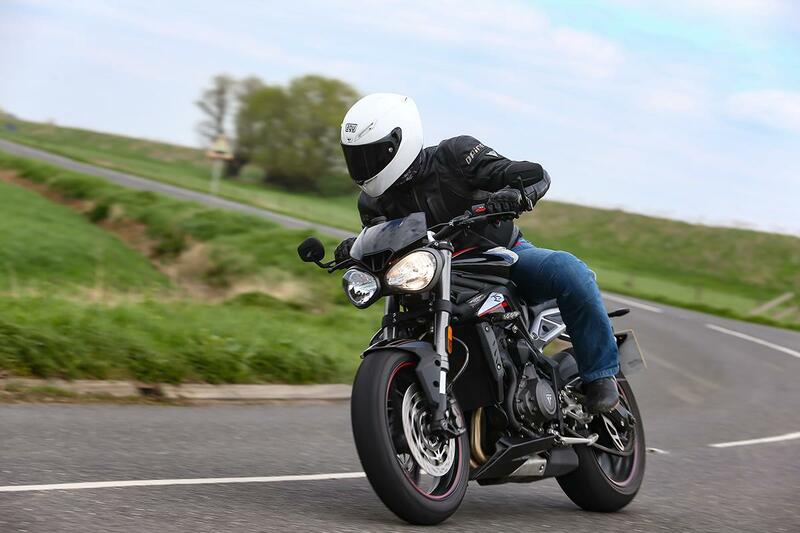 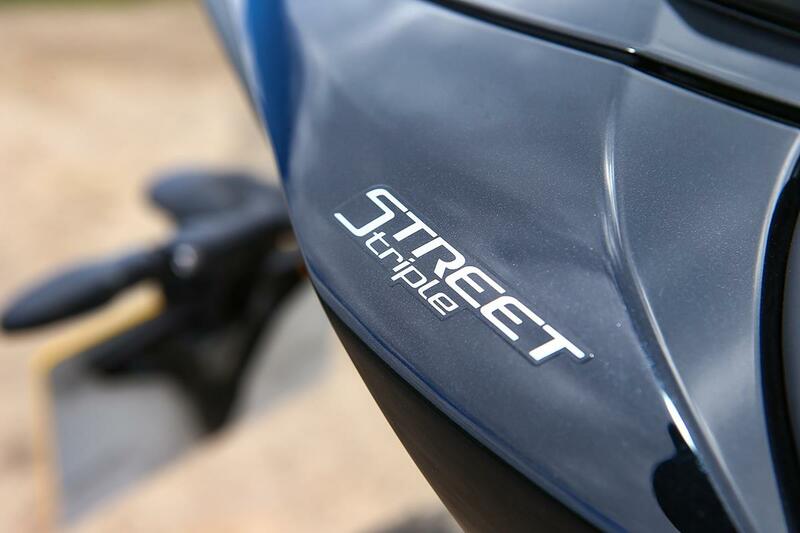 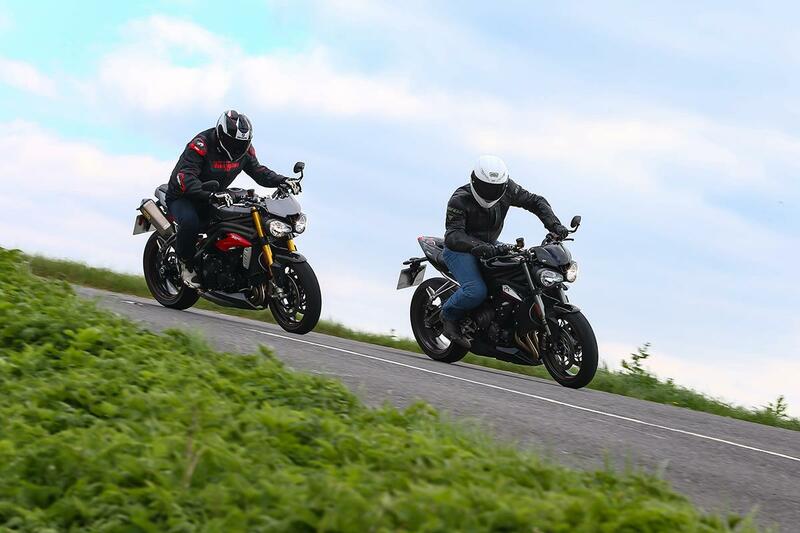 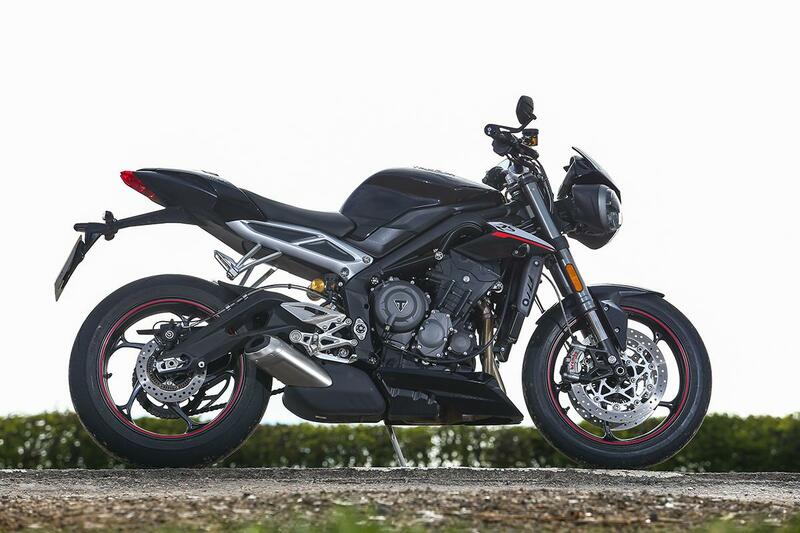 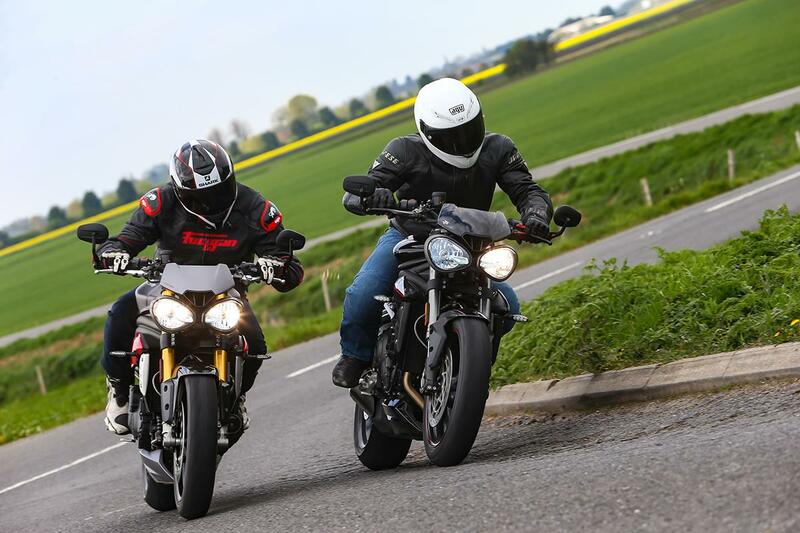 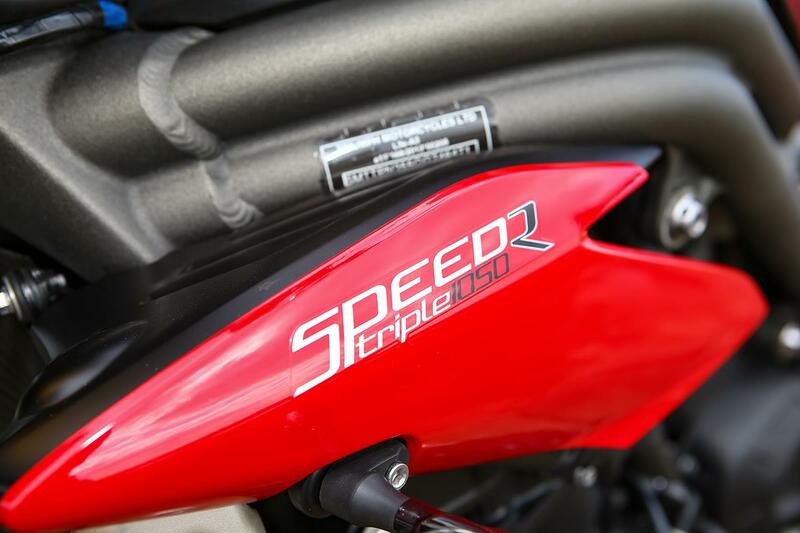 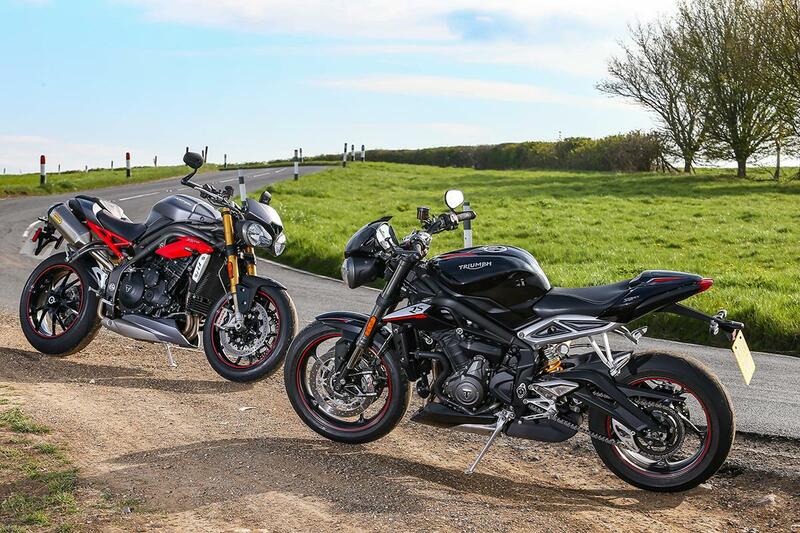 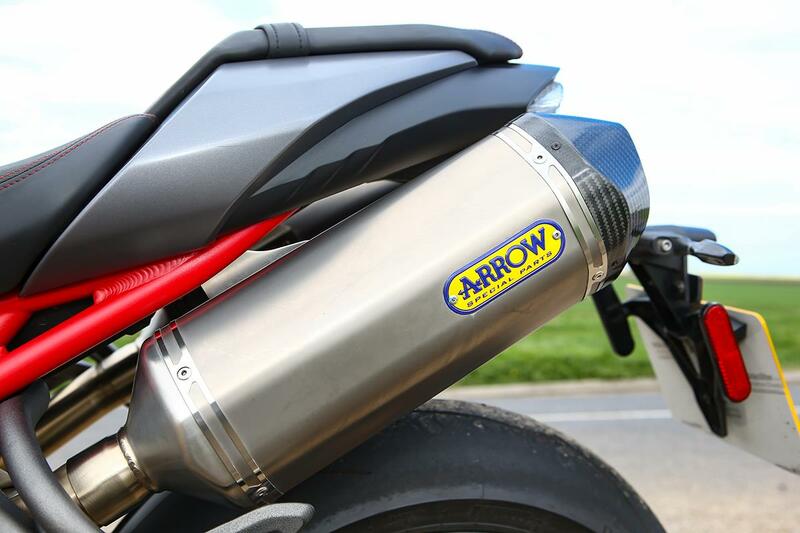 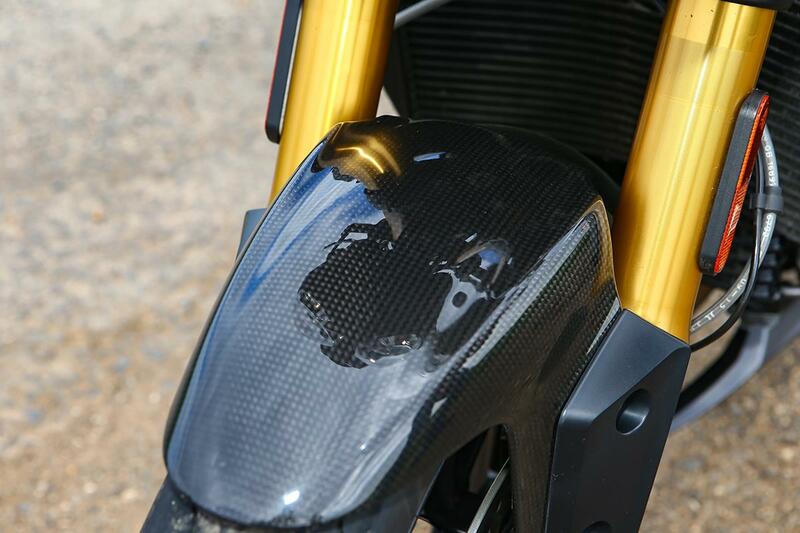 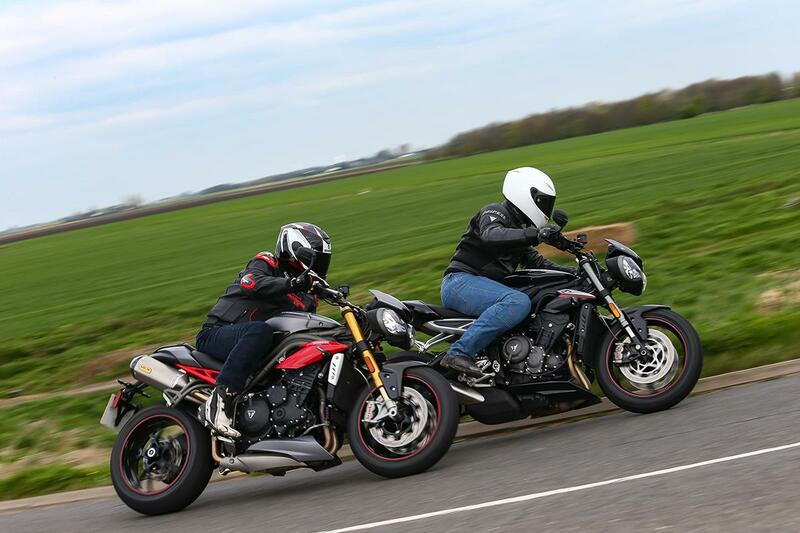 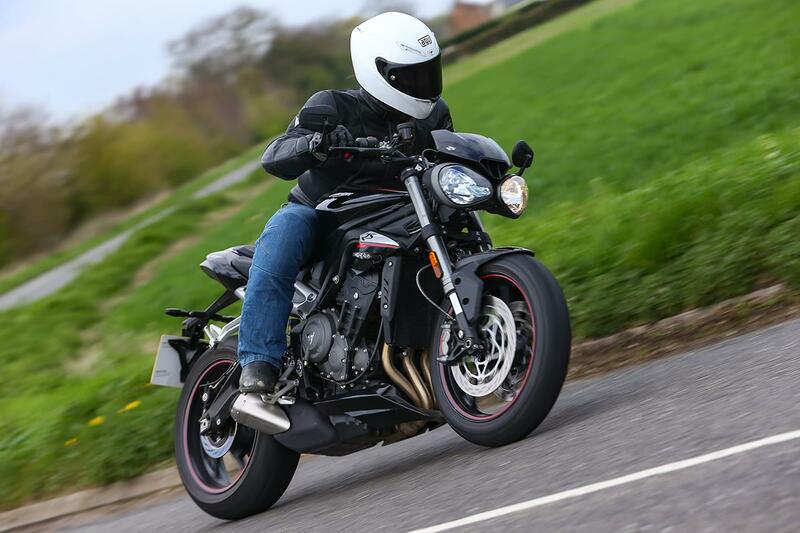 But with the launch of the new, enlarged Street Triple (now 765cc), the gap between the top-of-the-range Speed and the young upstart Street has narrowed. 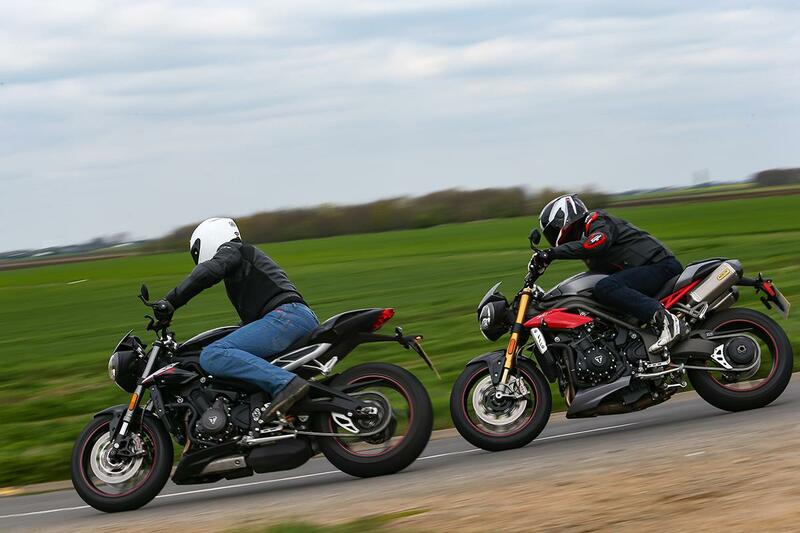 Is it now too close to call? 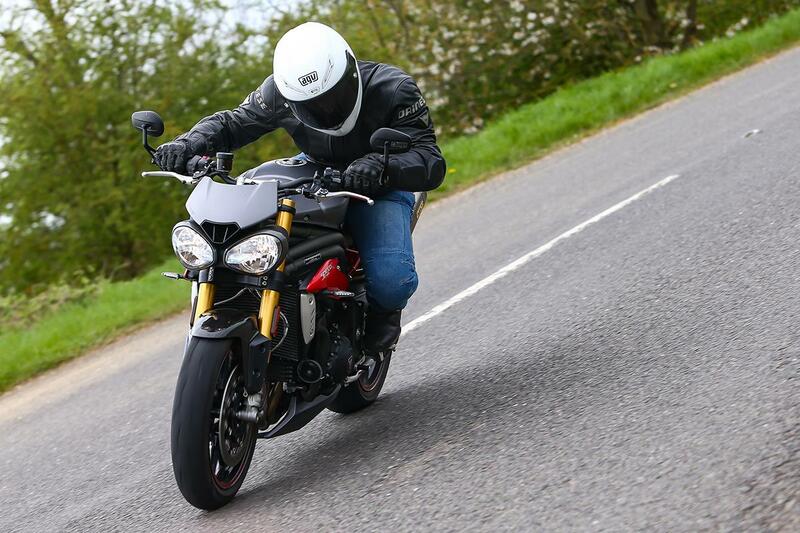 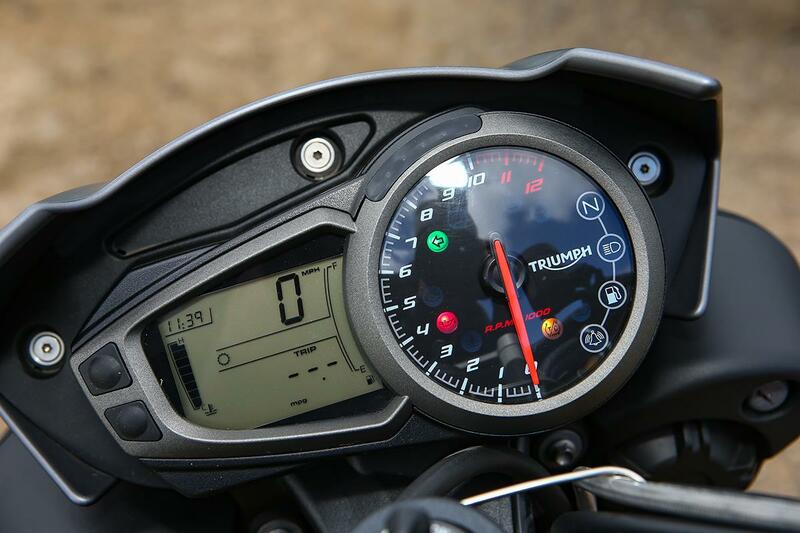 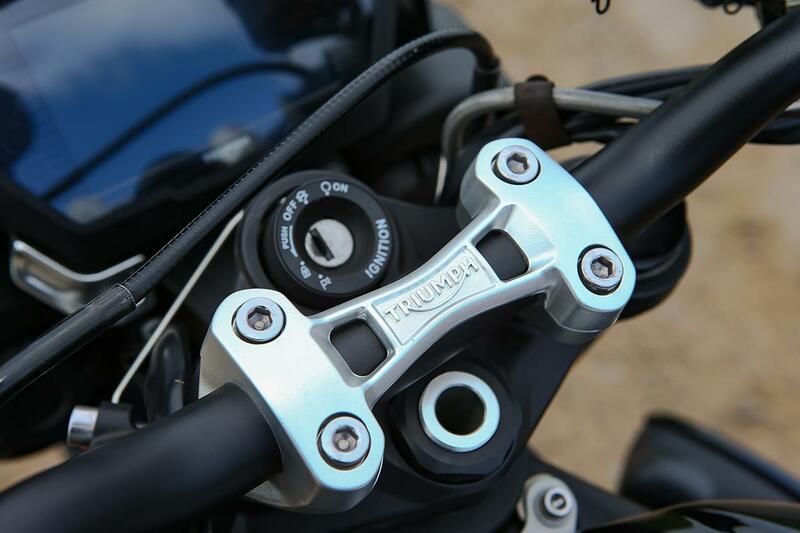 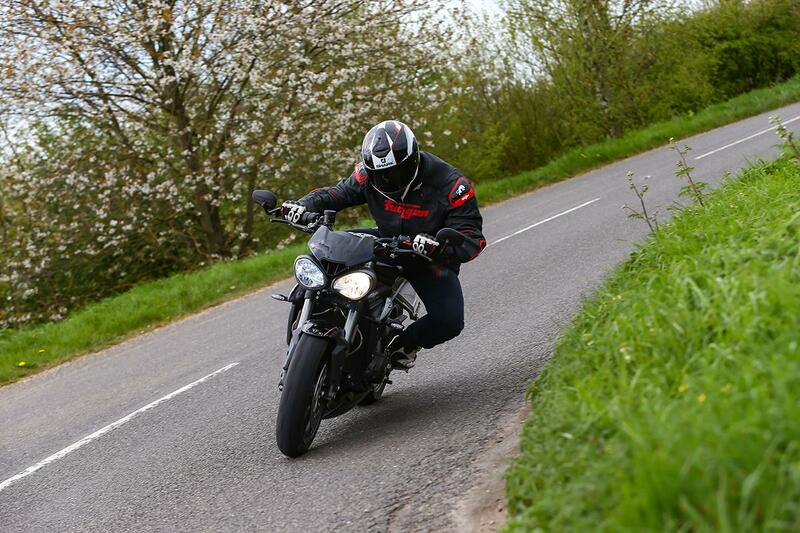 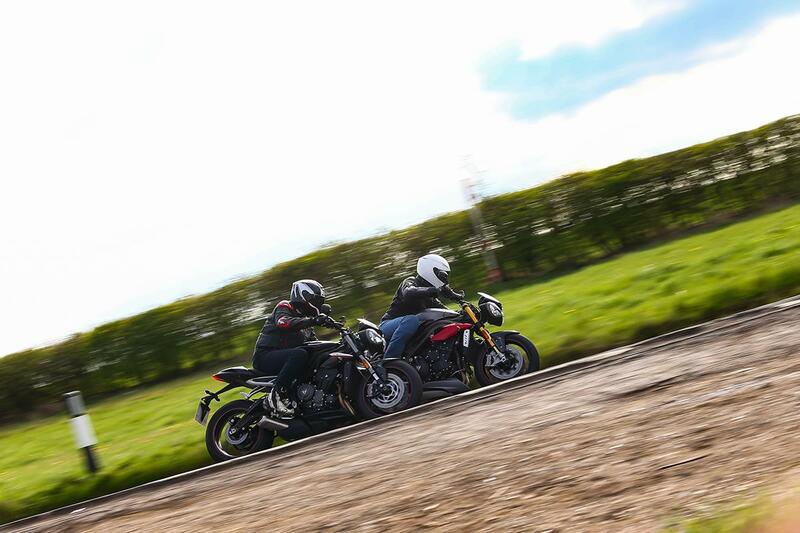 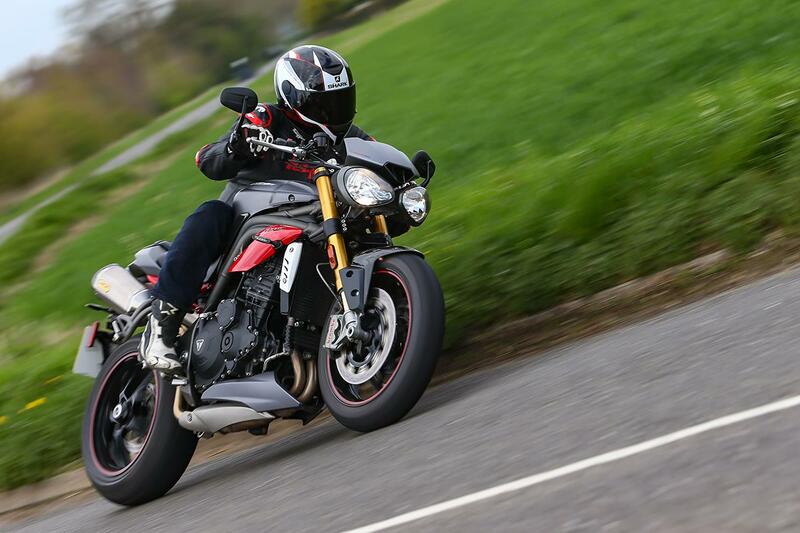 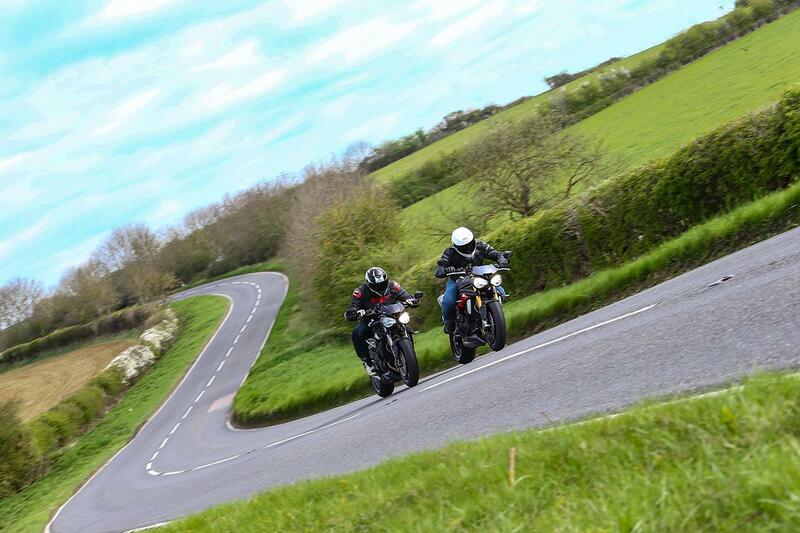 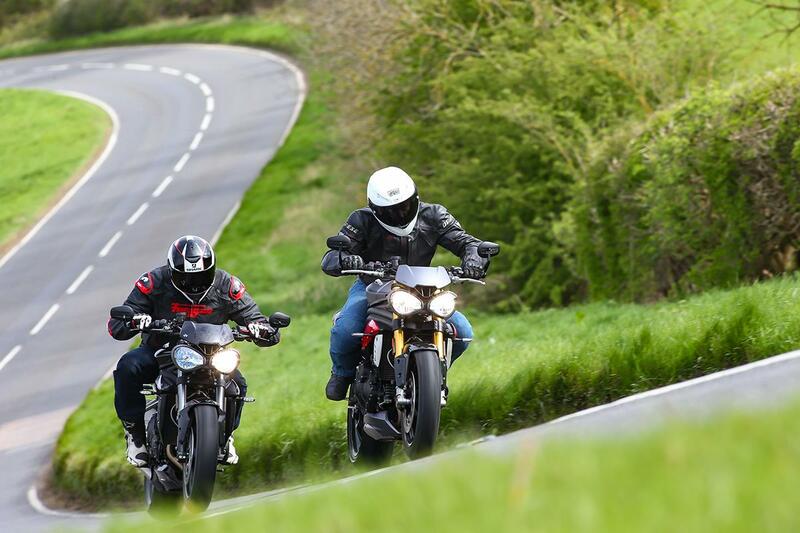 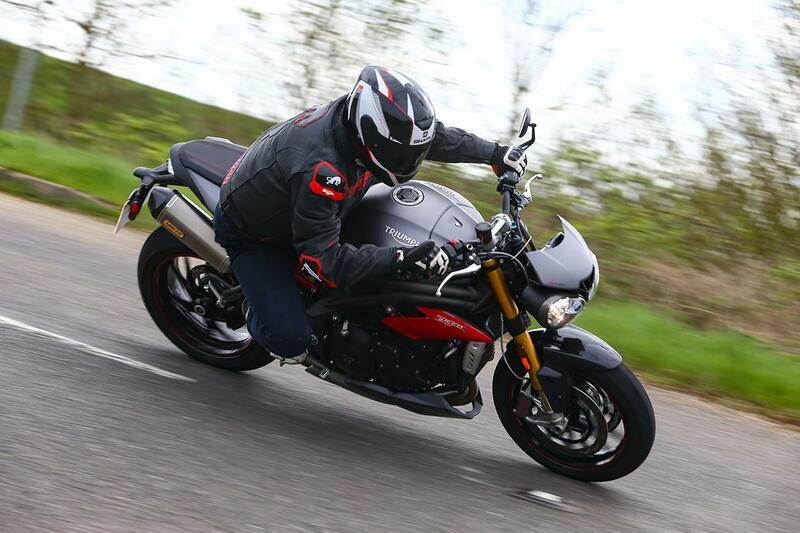 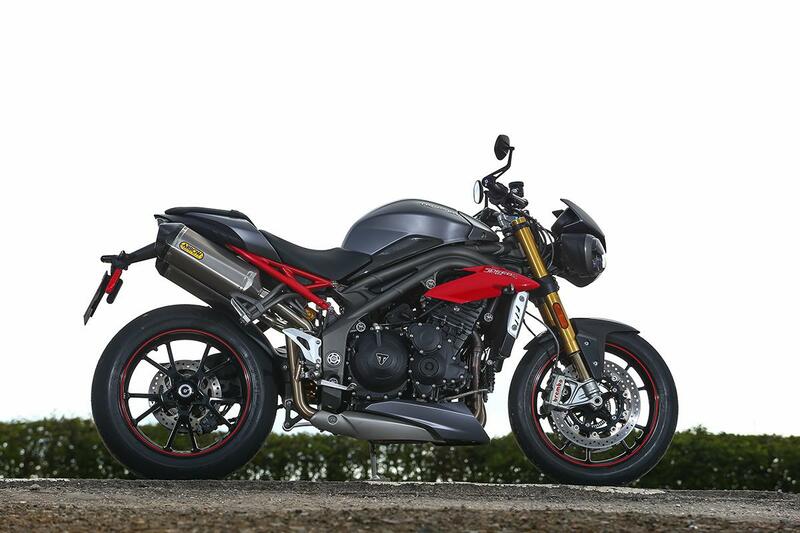 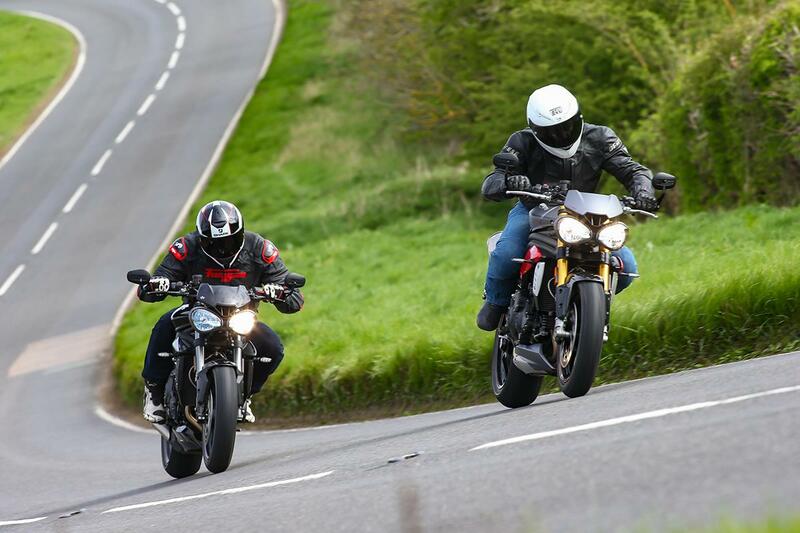 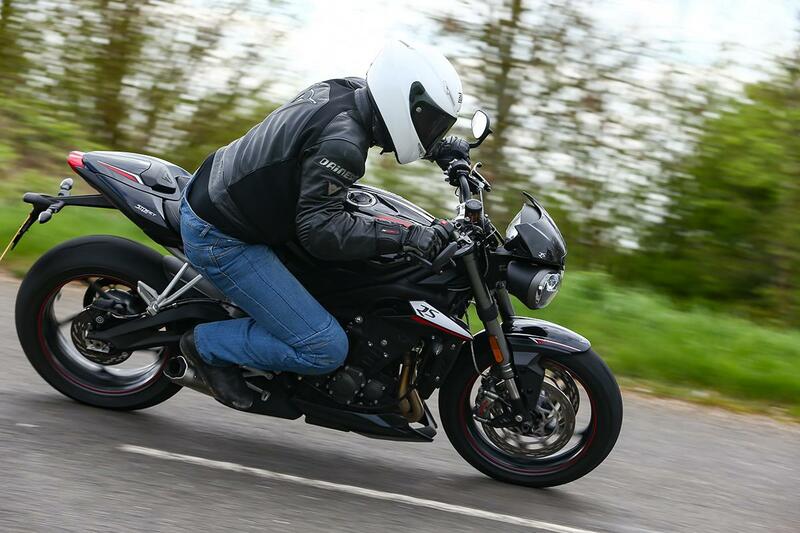 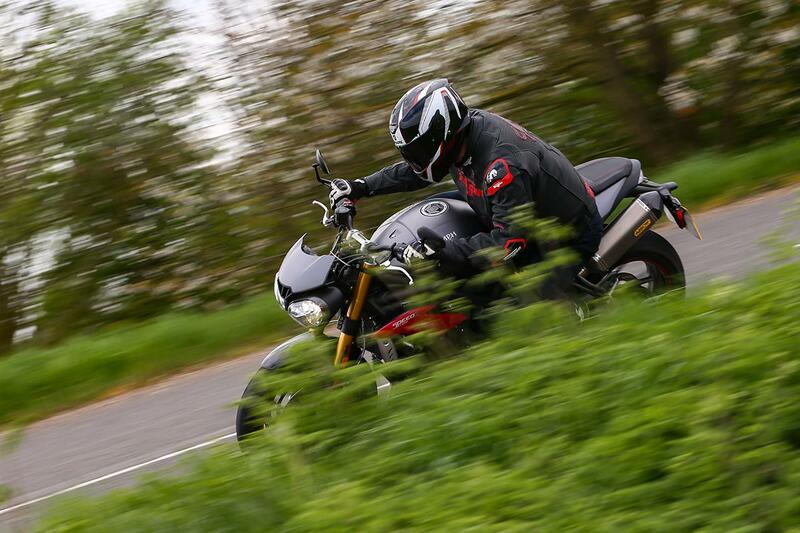 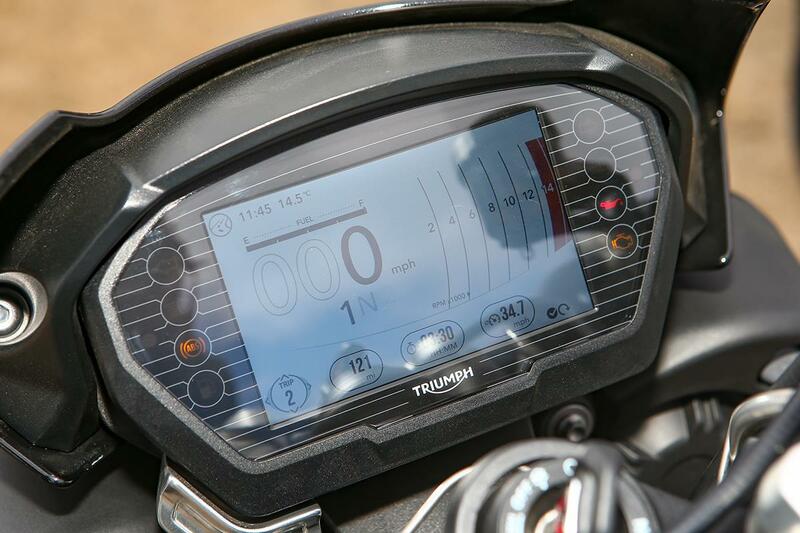 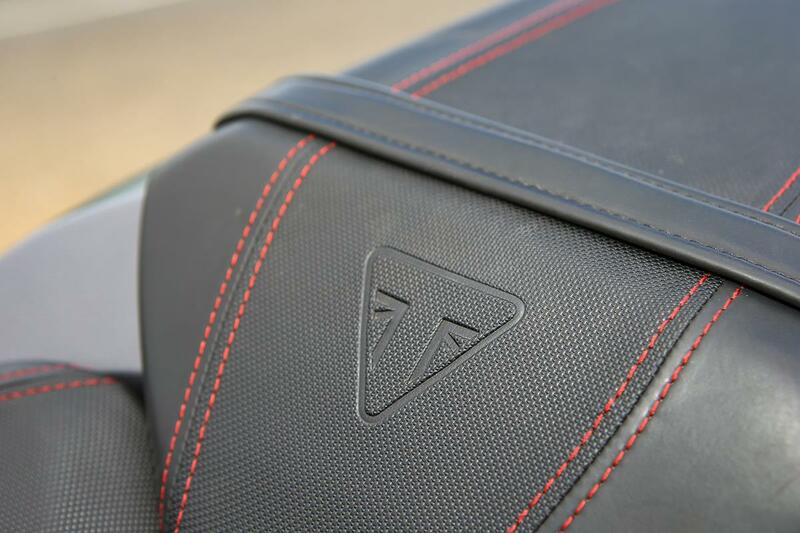 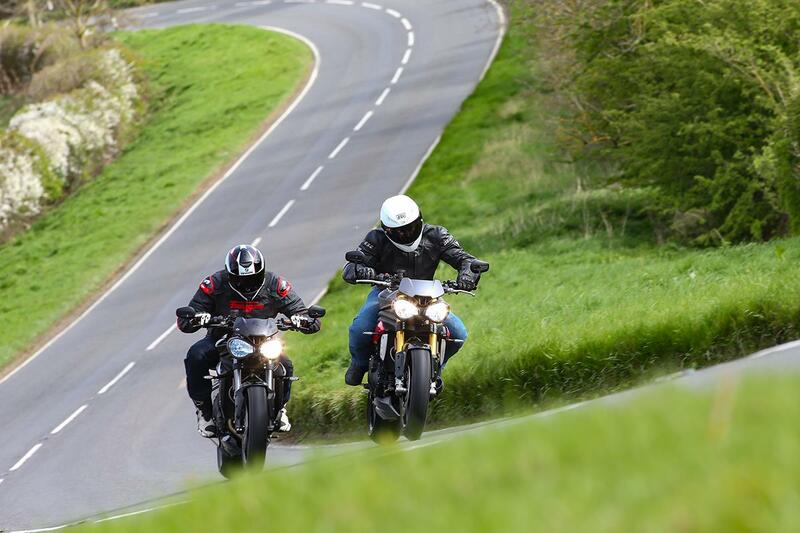 The new Speed Triple has traction control, more power, ride-by-wire, a tweaked chassis and fresh styling. 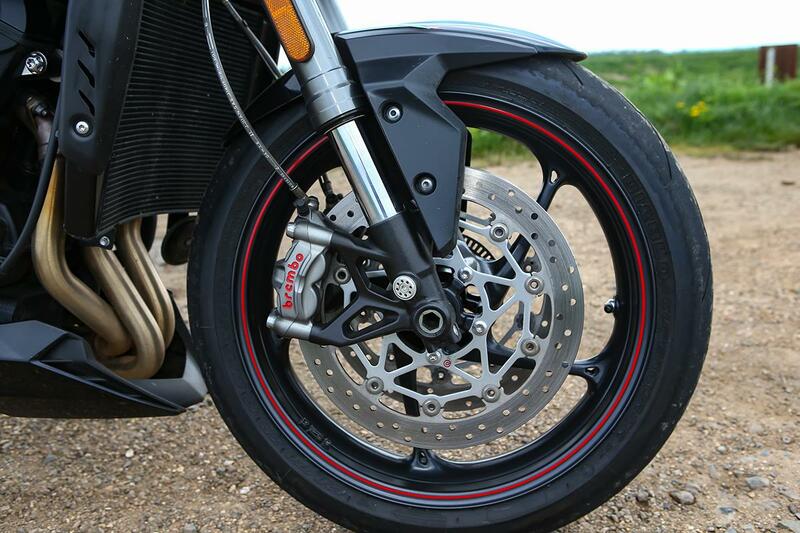 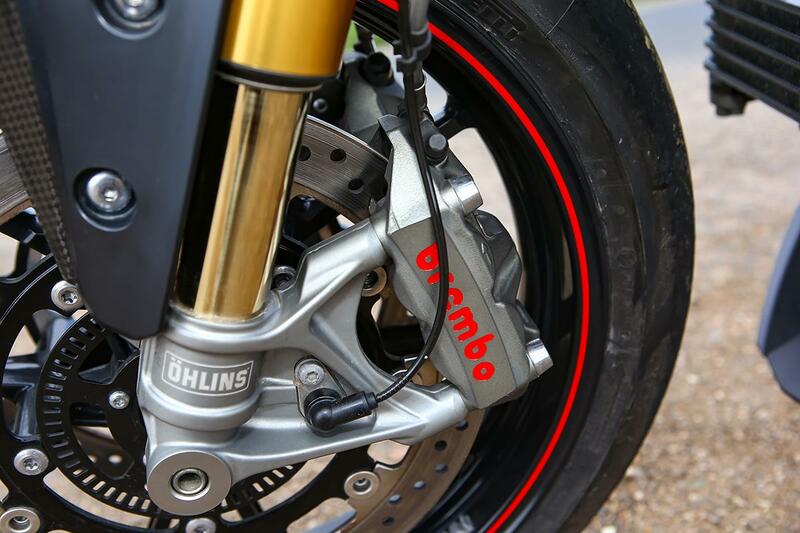 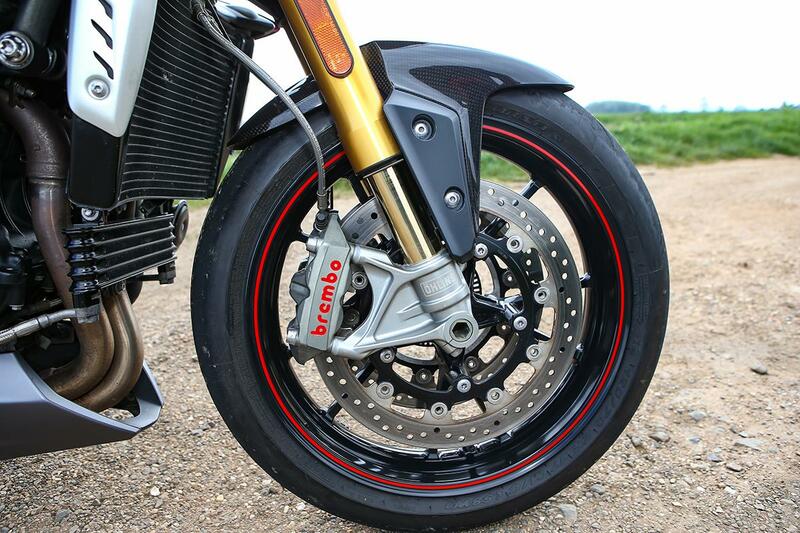 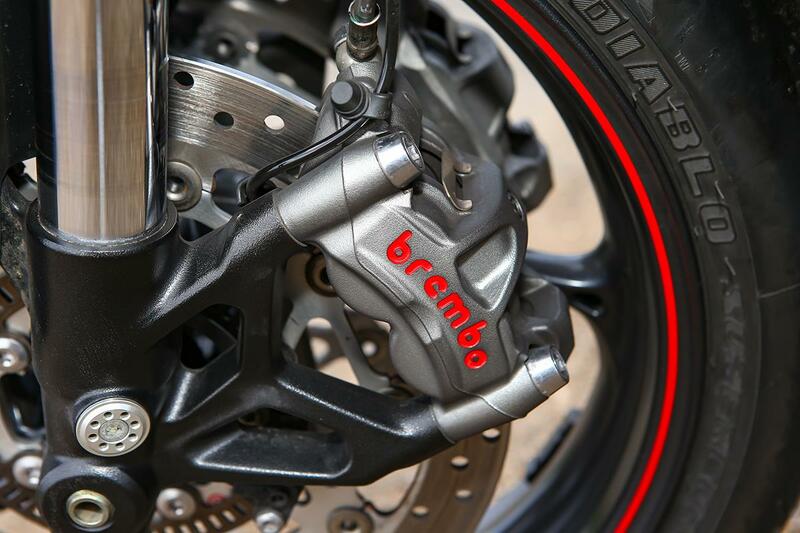 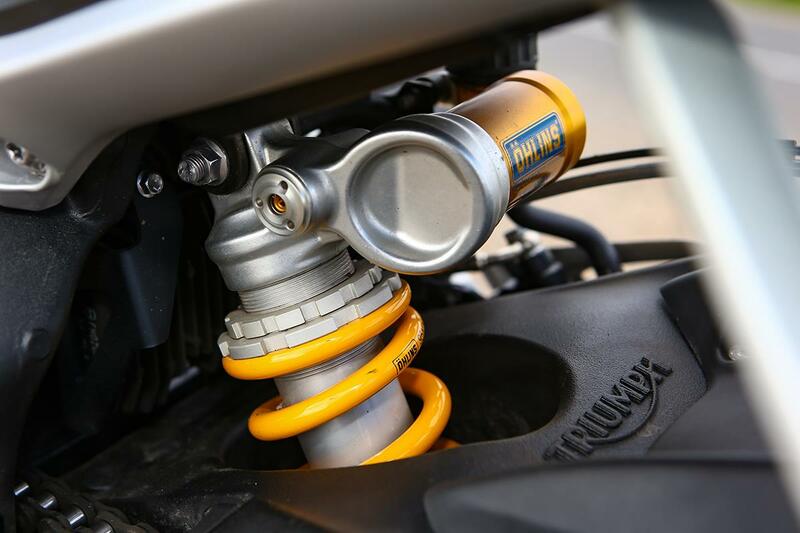 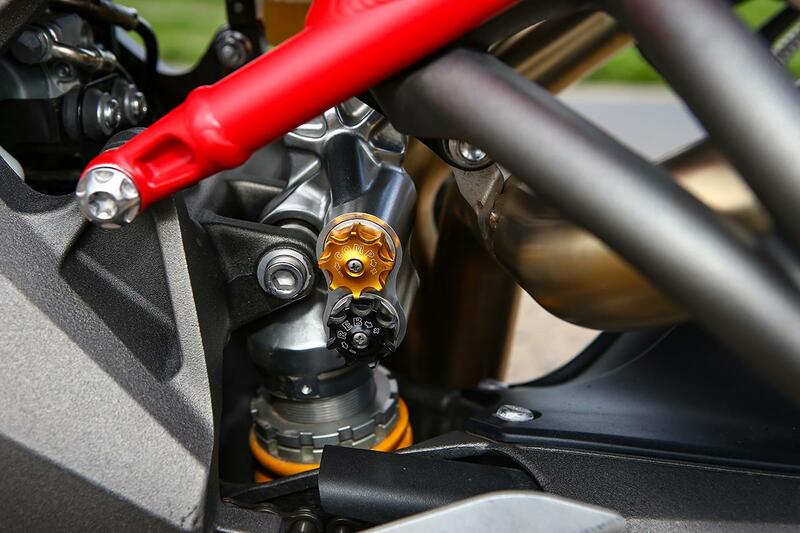 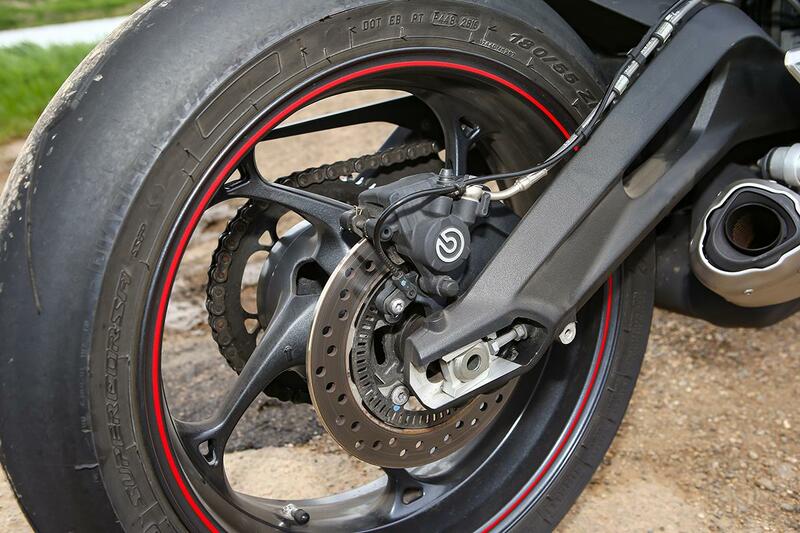 The R model has Öhlins NIX30 forks and TTX36 shock and Brembo M4.32 radial calipers. 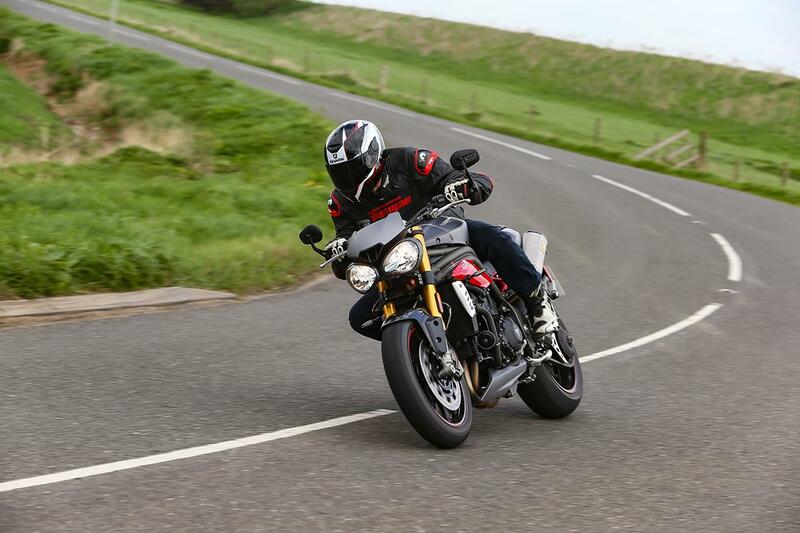 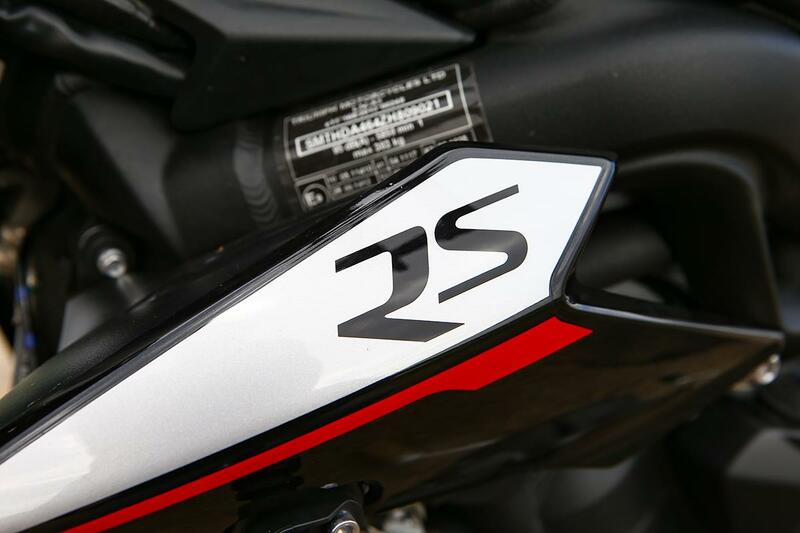 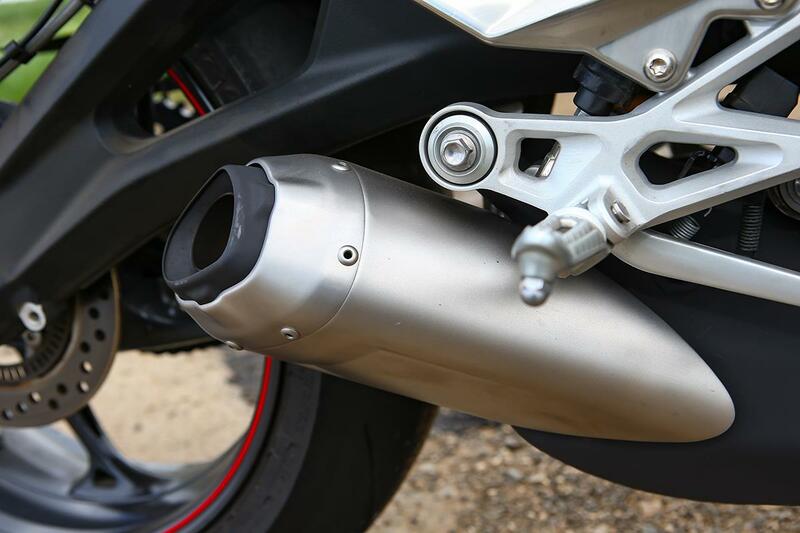 Completely new successor to the Street Triple 675, the top-of-the-range RS comes with a 765cc, 123bhp motor, Showa Big Piston Forks, Öhlins STX40 shock and Brembo M50 radial calipers.